HE might be a world champion on the track, but Helena Valley cyclist Cameron Meyer proved he could race with the best of them on the road too. 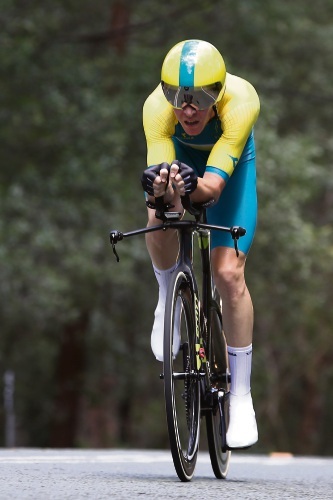 The dual 2017 UCI Track Cycling World Championships gold medallist was a late inclusion in the Commonwealth Games’ individual time trial competition on Tuesday for what would be his first race in the discipline for more than two years. While expected to perform well, few predicted Meyer would come away with an upset win, but that’s exactly what he did. Meyer took out the gold medal after finishing in 48:13.04, a huge 30 seconds ahead of England’s Harry Tanfield, who won silver in a time of 48:43.30.